You are currently browsing the archives for the Stewart Mills category. The DFL will have a difficult time defending their majority in the Minnesota delegation. They’re already in trouble in southern Minnesota after Tim Walz decided to not run for re-election in MN-01 after winning by only 1.5 points in 2016. If Republicans win both seats, which is a distinct possibility, that’d put a serious hurt on Democrats recapturing the U.S. House. With deep appreciation and thanks for allowing me to represent you in the Congress of the United States, I am announcing today that I will not be a candidate for reelection, and will retire at the end of the current term. The gratitude and affection I have for all of you here in Northern Minnesota is beyond my ability to express in words. Make no mistake – I love my work representing you in the Congress, and the decision to leave is agonizing to say the least – especially when thinking of all the many volunteers, contributors, party leaders, colleagues, supporters – and of course the voters – who have all meant so much to our success. The fact is, I have spent 16 productive and exciting years in elective office, and far longer working behind the scenes in business, labor, community service, and the public policy arena. Good politics is about making a positive difference in people’s lives, and together with all of you and a brilliant dedicated staff, we’ve made a real difference for the 8th District of Minnesota and our great Nation. Jobs are coming back. Wages are going up. The Iron Range and the 8th District are on the economic rebound, and our best days are still ahead. Having said that, there is a time and a purpose for everything and now is the time for me to pass the baton to the next generation. To be sure, I’m really going to miss representing the 8th District, but it is time for me to spend more time with my wonderful wife, Mary, our four fantastic adult children and their terrific spouses, and our 13 remarkable grandchildren. They have been incredibly patient and supportive. Now it’s time for me to respond in kind, and give them the attention they deserve and I want to give. Despite the fact that our Nation is being challenged by some rather troubling politics, let’s remember that our Founders foresaw difficult times and gave us the tools to see them through. Our Constitution is strong, our people are resilient, and the elections of 2018, 2020 and beyond provide continuing opportunities for progress, reform and necessary change. Hopefully the timing of this announcement in this still young election year will provide prospective candidates with ample opportunity to present themselves to voters and activists at the many party county conventions to be held over the next several months throughout our region. Fortunately, we are blessed to have a number of highly qualified people who have demonstrated the ability to win tough elections and govern effectively. With hard work and a broad base of support, one of them will win the seat, and serve with distinction in the next Congress. Meanwhile, rest assured, with the better part of a year left in office, I will continue working for the people of Minnesota’s 8th district and our entire Nation, energized and determined to finish strong. History teaches us that there are no final victories in politics. There will always be powerful forces standing in the way of progress. So I will continue always to speak out for the common sense, progressive agenda I have spent a lifetime fighting for. But I will be doing so as a private citizen, privileged and grateful to be living here in the greatest Nation on earth. Again, thank you so very much for choosing me to represent you. If Stewart Mills gets into this race, that’s a race-changer. Can the DFL hold Franken’s seat? Mair isn’t wrong that each of these women would be viable candidates in the eyes of DFL activists. The thing that Ms. Mair is missing is the fact that these candidates have in common is that they’re from the Metro. In the eyes of rural Minnesota, especially the Iron Range, these women would be rejected like Hillary was rejected. In fact, I’d posit that they’d get rejected worse than Hillary was in 2016. Trump won the Eighth District with 53.76% of the vote to Hillary’s 38.27%. None of these candidates would do that well on the Range. Further, most of these candidates favor single-payer health care. Meanwhile, Republicans have 2 candidates that would be able to run well in the suburbs, the exurbs & rural Minnesota. If Stewart Mills or Kurt Daudt were to run, they’d be favored because they both support the Iron Range, they both support the construction unions and they’re both seen as sensible policymakers. The DFL’s biggest problem is that they’re the urban party, which helped them win statewide races in the past. That’s coming to an end because farmers and unions are abandoning the DFL because of the DFL’s hostility towards building pipelines, approving mining projects and Gov. Dayton’s hostility towards farmers. The sad part for the DFL is that Gov. Dayton is sensible compared with the 6 ladies mentioned earlier. At the end of the day, I’d put the DFL’s chances of holding Sen. Franken’s seat as a toss-up. This LTE, written by Mountain Iron Mayor Gary Skalko, shows how out-of-touch, not to mention scripted, the DFL is. Really? Shame on Skalko for demeaning the construction industry that Mr. Trump has been successful in. Shame on Skalko for demeaning Mills Fleet Farm, one of the most popular retail chains for farmers and the middle class in Minnesota history. While it’s indisputable that Mssrs. Trump and Mills are wealthy, it’s equally indisputable that they’ve paid attention to what’s happening in the real world. After starting out stocking shelves at the family business, Mills eventually was put in charge of the company’s benefits program. By all accounts, Mills employees have vastly better health care than do people buying health insurance on MNsure. They certainly aren’t paying Cadillac plan premiums for catastrophic policies. Most people who have mortgages are in debt. Further, like most things she’s said, they weren’t dead broke. Before joining the Senate, Hillary Clinton wrote her first memoirs, collecting millions of dollars for the book. Meanwhile, Rick Nolan has criticized Mills for being wealthy. During his first stint in office, I don’t recall him criticizing Jay Rockefeller, John Kerry or Ted Kennedy for being wealthy. I’ve never heard him criticize Dianne Feinstein or Nancy Pelosi for being wealthy. I’d love hearing Mr. Nolan’s explanation for why he hasn’t criticized the Clinton Foundation for ruining Haiti after the earthquake. The DFL’s outrage, apparently, is selective. It certainly isn’t consistent. There’s nothing that hurts liberals more than using other Democrats’ words against them. That’s why Stewart Mills’ latest ad is so devastating. Couple Mills’ ad with Donald Trump’s op-ed in today’s Duluth News Tribune and you’ve definitely got pro-Trump momentum in the Eighth District. Anything that increases pro-Trump turnout is virtually assured to help Stewart Mills. MILLS: I’m Stewart Mills and I approve this message. FEMALE NARRATOR: Leading Democrats agree: Obamacare is broken. GOV. DAYTON: The Affordable Care Act is no longer affordable. BILL CLINTON: Premiums doubled and their coverage cut in half. It’s the craziest thing in the world. FEMALE NARRATOR: But Rick Nolan still supports Obamacare, cutting billions from Medicare, driving up premiums by 67%, costing thousands of families their coverage, jeopardizing jobs and raising taxes. Rick Nolan: wrong on health care. Wrong for your family. Let’s be clear about this. Rick Nolan hasn’t hidden the fact that he prefers single-payer health insurance. Nolan’s ‘fix’ is to essentially demolish the American health insurance industry. The issue of health care alone disqualifies Nolan. While it won’t hurt Nolan in Duluth and the Arrowhead, it’ll definitely hurt him in places like Chisago, Lindstrom, North Branch, Little Falls, Park Rapids, Brainerd and Pierz. Stewart Mills’ supporters in the Eighth District should be cautiously optimistic after KSTP announced the results of their latest poll of the district. According to the poll, “Stewart Mills leads Democratic incumbent Rick Nolan by four points in Minnesota’s 8th District, 45 percent to 41 percent, in our exclusive KSTP/SurveyUSA poll. However, a significant number of voters remain undecided, 14 percent, and could swing this election either way.” Stewart Mills’ supporters should be cautiously optimistic because Mills led Nolan by 8 points at this point in 2014 and wound up losing by 3,000+ votes. NARRATOR: Hillary Clinton promises to kill mining jobs all across America. HILLARY CLINTON: We’re going to put a lot of coal miners and coal companies out of business. NARRATOR: Here in Minnesota, Rick Nolan is doing the same. Nolan supports Hillary’s war on coal. He voted for anti-mining regulations that are destroying Minnesota jobs and sticking middle class families with higher energy bills. Rick Nolan and Hillary Clinton are job killers. Nolan might also be facing resistance from voters over his support of the Affordable Care Act (ACA) and his desire to go even further and implement “universal,” or government-run health care. Our KSTP/SurveyUSA poll indicates 45 percent of those surveyed in the 8th District favor repeal of the ACA, 30 percent say there need to be changes to the program and 13 percent say they favor universal health care. When asked which issue is most important to them when deciding their vote, health care came in as the top choice at 26 percent. Another 25 percent cited terrorism and national security while 13 percent said taxes. Mining came in at six percent, education at 5 percent and foreign trade at four percent. It’s apparent that Mills learned some important lessons from his 2014 campaign. Let’s hope that the results are better this time. One of his initiatives is called No Fly, No Buy. It sounds simple enough, until you understand that if you find yourself on the secret government no-fly list, they can take away your Second Amendment rights. There’s no evidence that this unconstitutional proposal, based on an arbitrary set of secret government lists, would have prevented any of the recent terrorist attacks here on US soil. No Fly, No Buy is an assault on your constitutional rights. Not only does it violate our Second Amendment. It also violates our Fifth and Fourteenth Amendments. Government can’t take away our rights without due process. Period. Our Second Amendment rights are just as sacred as our First Amendment rights to free speech, to assembly and to religion. 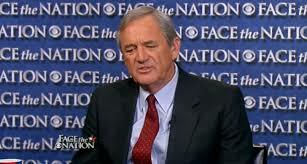 Rick Nolan’s speech is a display of Rep. Nolan’s apathy towards the Constitution’s protections. As for Rep. Nolan’s statement that he strongly supports the Second Amendment, the truth is that he protects a liberal’s definition of the Second Amendment. That’s a warped interpretation of the Second Amendment. Further, it’s totally apparent that Nolan isn’t fighting for our Fifth and Fourteenth amendment protections. There’s never been any doubt that Stewart Mills didn’t like Obamacare. That disapproval comes through vividly in a recent conversation with a small business owner who will be one of Mills’ constituents if he’s elected. Mills is on firm footing with that statement. Many of the policies that are getting written have huge premiums and even higher deductibles. Often, families have to spend tens of thousands of dollars of their own money before the insurance company pays out a penny. Even then, the health insurance companies still lose money. Anyone that can watch that video with an open mind has to admit that Nolan’s characterization of Stewart Mills is an outright lie. Not only isn’t Stewart Mills not out of touch with the average person. Mills is actually an expert on health care. Meanwhile, Nolan is just a mean-spirited, dishonest ideologue on the subject. Watching the entire videotaped interview is instructive, especially if compared with the intellectually wimpy stuff Nolan puts in his videos. Rep. Rick Nolan, (DFL-MN), thinks Second Amendment activists are stupid. He thinks voters are stupid, too. His quote in this DNT article highlights just what he thinks of voters. When asked about his support for Nancy Pelosi’s No-Fly-No-Buy legislation, Rep. Nolan said “Why give someone who has sworn allegiance to kill Americans access to guns and ammunition, whereas you wouldn’t with some guy found guilty of writing bad checks?” The problem with Rep. Nolan’s statement is that a significant number of people on that list are honest, law-abiding citizens. Reporters like the Weekly Standard’s Stephen Hayes was put on the list because he bought a one-way plane ticket to Greece. The late Sen. Ted Kennedy was on that watch list, too. Rep. Nolan’s grandstanding notwithstanding, why would we trust Rep. Nolan to do the right thing when it comes to protecting Americans’ civil rights? It’s one thing to deny terrorists guns. It’s quite another to deny reporters the right to protect their families because an idiot bureaucrat unilaterally puts a law-abiding citizen on a terrorist watch list. Rep. Jason Metsa, who represents HD-6B in the Minnesota legislature, tried providing Nolan with some political cover. Either Rep. Metsa isn’t honest or he’s ignorant about what the Second Amendment is about. Perhaps it’s a little of both. Saying that Nolan is “passionate about the outdoors” is irrelevant in determining whether Rep. Nolan will protect law-abiding people’s right to protect their families. Rick Nolan is a professional politician. He isn’t interested in protecting our civil rights. That’s why he should be rejected by voters in Minnesota’s Eighth District next month. Rick Nolan has a constitutional problem that can’t be solved. It isn’t that he’s done anything impeachable. It’s that he’s pretzeled himself into an impossible situation to squirm out of. In trying to sound reasonable on the Second Amendment and on terrorists, Nolan’s campaign manager said “suspected terrorists — those who aren’t allowed to fly on a plane with Americans — should not be allowed to purchase dangerous weapons.” The flaw — the gaping inconsistency, actually — with that statement is that there are lots of people on those no-fly lists who’ve done nothing that authorizes the federal government from stripping a person’s right to protect him- or herself. This is where I often cite the fact that Steve Hayes and the late Sen. Ted Kennedy were accidentally on those no-fly lists and were constantly searched before boarding a plane. Think about the possibility of Ted Kennedy being put on the federal government’s watch list as a potential terrorist. I wasn’t crazy about Sen. Kennedy’s political beliefs but he certainly didn’t do anything to prevent him from protecting his family. I’d love hearing Rep. Nolan explain what Sen. Kennedy did that would’ve justified the federal government telling him that he couldn’t protect his family in an emergency. I’d love hearing Rep. Nolan explain why Steve Hayes, who hasn’t committed any felonies, should be stripped of his God-given right to protect his family, especially without being afforded his due process rights. It’s one thing if a person is taken to court to take their gun away because someone accused them of being a risk to themselves or others. That court would weight the evidence, apply the applicable laws, then render a verdict. In that instance, there’d be a finding of fact. There’d be the application of applicable laws and a trial before a judge or a jury of their peers. If Nolan got his way, the person getting stripped of their right to protect their family would lose their rights because they government said that they couldn’t own a gun. They wouldn’t get an explanation. They wouldn’t’ be tried by their peers. Steve Hayes and Ted Kennedy, theoretically speaking, would’ve lost their rights because of a bureaucrat’s mistake. NARRATOR: On the Second Amendment, there’s a clear choice. Rick Nolan has voted repeatedly to take away our rights, earning a failing grade from the NRA. Stewart Mills will protect our rights. STEWART MILLS: I’m a lifelong hunter committed to our Minnesota way of life, but the Second Amendment is about more than recreation. First and foremost it’s about protecting our liberties and families. I’m Stewart Mills and I approve this message because I’ll defend the Second Amendment – always. It’s clear that Mr. Radinovich’s understanding of the Second Amendment is as limited as Mr. Nolan’s understanding of it.